PKN Orlen (Orlen), a major Polish oil refiner and petrol retailer, and Lithuania have had a love-hate relationship for almost a decade. While Orlen has invested heavily into the country, purchasing a 53.7 per cent share in Mażeikiu Nafti, a Lithuanian refinery, from the Russian company Jukosa back in 2006, and then buying subsequent shares to become the sole owner of the refinery, known today as Orlen Lietuva, the Lithuanian authorities have never been happy with the arrangement. The acquisition and subsequent modernisation of Mażeikiu Nafta has seen Orlen invest over 4 billion US dollars since 2006. The project has, however, brought Orlen significant losses, and is a classic example of a failed attempt to expand Polish state companies abroad. In 2008 Orlen Lietuva had to find alternative routes via Lietuvos Geležinkeliai (Lithuanian Railways, LG), to redirect freight services to Latvia. 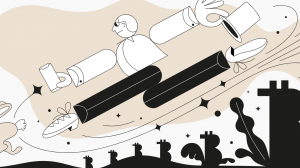 LG then dismantled a 19-kilometre section of track connecting the two countries, forcing Orlen Lietuva to use a much longer route (about 150 kilometres) to transport its oil to Latvia. As a result, Orlen filed a complaint with the European Commission (EC). In its decision, the EC not only imposed fines of approximately 28 million euros on LG, it also ordered Lithuanian Railways to refrain from taking any action having an identical or similar purpose or effect. The EC decision – taken in 2017, nine years after the complaint was filed – prompted the Lithuanian Transport Minister Rokas Masiulis, to declare that Lithuania would “defend its interests” in this matter. Since then, the stance of both sides has softened, and an agreement in early August saw Lithuania commit to rebuilding the dismantled railway line. “The dismantling of the line was a bad example of cooperation between companies and states, and today we are removing this bad image…It’s a day of partnership and building a shared future. Only by developing infrastructure can we expect cooperation to develop,” Mantas Bartuska, general director of Lithuanian Railways announced at the inauguration of works which will see the original tracks connecting Mažeikia to Renge in Latvia restored by the end of 2019. The Orlen refinery is important to the Lithuanian economy, responsible for approximately 20 per cent of total exports from Lithuania to Latvia and Estonia, and as such restoring the railway connection is crucial. Orlen Lietuva has in turn committed itself to using LG’s services. Both parties have also committed to extending transport services with regards to the transport of products from the refinery in Lithuania to Poland. 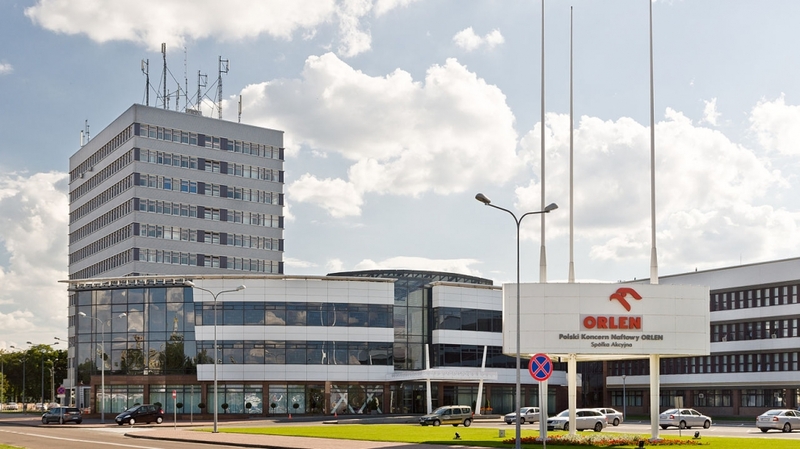 “Orlen Lietuva is a strategic company for the entire region. As such, it shall develop further to achieve its full potential. Today’s decisions and declarations reinforce the coherent vision of the company’s future development. Close cooperation between PKN Orlen and its partners in Lithuania will be of real benefit for all sides,” added Mr Obajtek. The volume of Orlen Lietuva products transported by LG is around nine million tons annually. “I am very pleased that today we can talk about a strengthening partnership and new opportunities. The past is now history, which has undermined relations between the companies for a number of years. Lithuania has now committed to reopening rail traffic to Renge; and today we have re-affirmed this commitment,” said Mr Masiulis. At the inauguration of the reconstruction of the tracks, the presidents of both companies jointly arranged the first rail on the reconstructed section of tracks from Mažeikia to Renge. Orlen also announced that it is considering investing in the further modernisation of the Lithuanian refinery. It is analysing the possibility of increasing the refinery’s efficiency, which would allow it to operate more effectively in a changing macroeconomic environment. Initial work is aimed at deepening (increasing conversion) oil throughput at the Mažeikia refinery. This could not have come at a better time for Orlen. At present the company imports 600,000 tonnes of diesel from the refinery in Mažeikia to Poland annually. According to the latest report by the Polish Organization of Oil Industry and Trade (POPiHN), fuel consumption for the first half of 2018 has increased by 15 per cent, in addition to which its members have imported 96 per cent more diesel and 34 per cent more petrol compared to the first half of 2017.